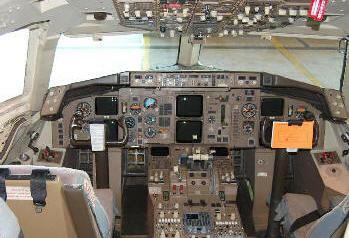 July 11, 2010 - The FAA is issuing an Airworthiness Directive (AD) that requires operators of Boeing 757, 767, and 777 airplanes to either inspect or replace certain flight deck windows. The AD only affects the forward viewing windows, not the side windows. Operators have two options, begin inspections within 500 flight hours and then continue at intervals that are specific for each of two window designs or install a new, redesigned window. The inspection takes about an hour. The AD is aimed at preventing smoke, fire or cracking of the inner layer of the forward viewing window caused by loose electrical connections that are used to heat the window to prevent ice. Over the past two decades, there have been 11 reports of fire or flames on 757 (five events), 767 (three events), and 777 (three events) airplanes. Improper installation resulted in loose, improperly torqued or cross threaded screws that can contribute to overheating and arcing. The most recent incident was a May 16, 2010 emergency landing by a United 757 at Dulles International Airport. The FAA proposed the AD in March 2008. The agency received extensive comments and determined additional 757 service information was needed from Boeing. That in-depth review identified unique issues on the upper electrical connections on 757s which will be addressed in a separate AD so as not to hold up the fix for the lower electrical connector issue which constitutes the majority of the service problems identified to date. Although there have been no fire events on 747s, the FAA plans to propose an AD this fall since those later model airplane windows are similar. This AD affects 1,212 U.S. airplanes out of 2,619 worldwide. The estimated cost for the inspections is $103,020 total for U.S. operators. The window replacement is optional and would be an additional cost.